The Raven is certainly Edgar Allan Poe’s most famous work, and perhaps part of the reason lies in how often it’s been illustrated by awesome artists. From its publication in 1845 to the 21st century, artists have captured and reinterpreted the poem in different styles in their illustrations for The Raven: from modern to romantic, surreal to macabre, each puts their own spin on the story, adding new meaning and intonation. Looking at the range of interpretations underscores just how influential and important The Raven is as a piece of poetry. 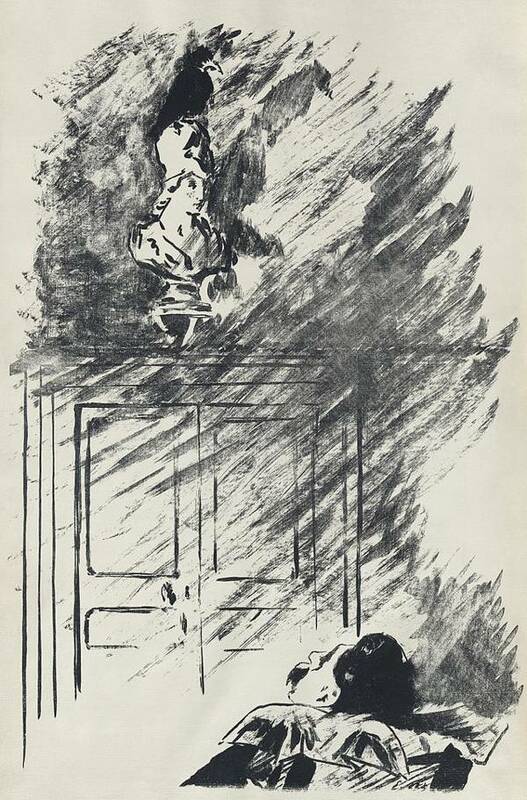 “Deep into that darkness peering, long I stood there wondering, fearing,” The Raven, Edouard Manet, 1875. 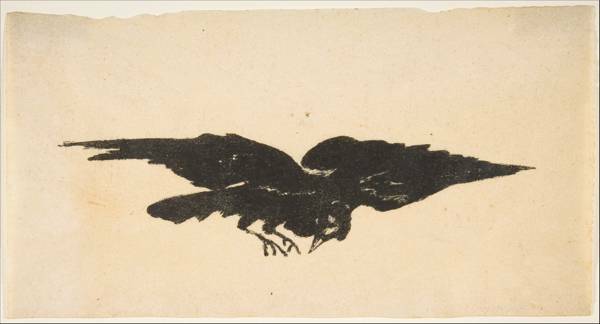 One of the first notable artists to tackle illustrations for The Raven was Edouard Manet, 19th-century flâneur, best frenemies with Degas, and modern painter infamous for such works as Le Déjeuner sur l’Herbe and Olympia. 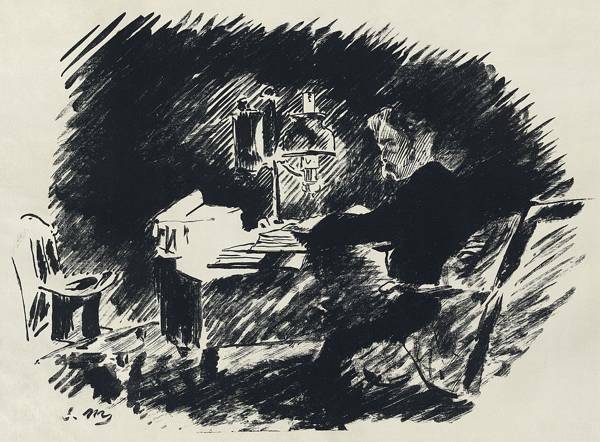 Manet was buds with Stéphane Mallarmé and provided four illustrations for Mallarmé’s 1875 translation of The Raven. Manet was admittedly an odd choice. His illustrations are stark, lacking in any sense of sentiment or narrative. They are, in other words, very Manet-esque, and not at all what readers today might expect from The Raven. 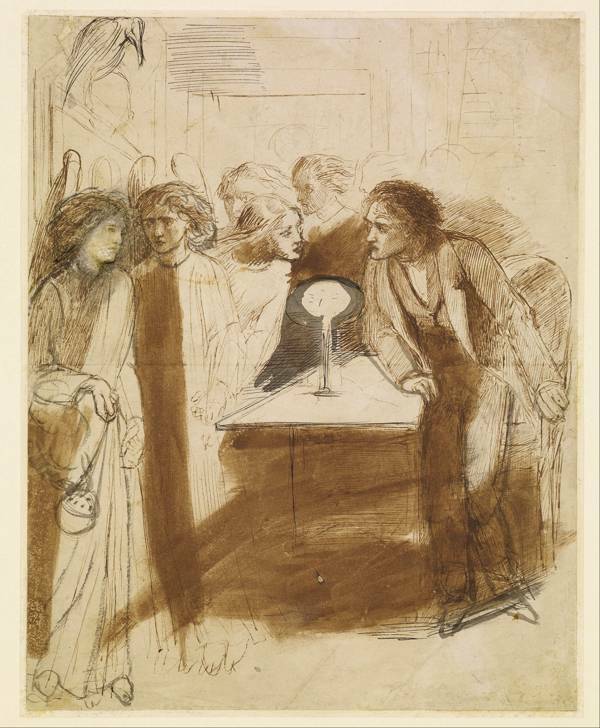 “Angel Footfalls,” sketch by Dante Gabriel Rossetti, 1847. Victoria and Albert Museum Rossetti Archives. “Nevermore,” The Raven, Doré, 1883. Far more well-known than either Manet or Rossetti’s illustrations for The Raven are those of Gustave Doré. 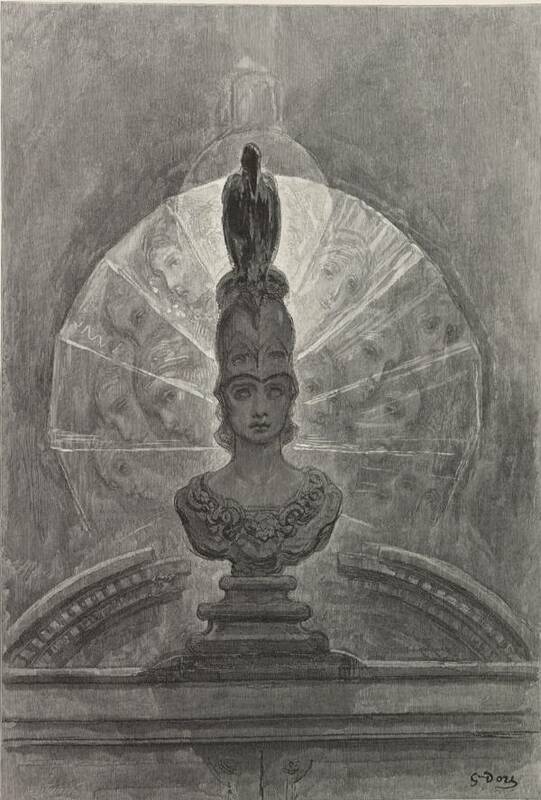 A symbolist, Doré’s vision of The Raven combined the romanticism of Rossetti with the surreal spiritualism typical of his work. 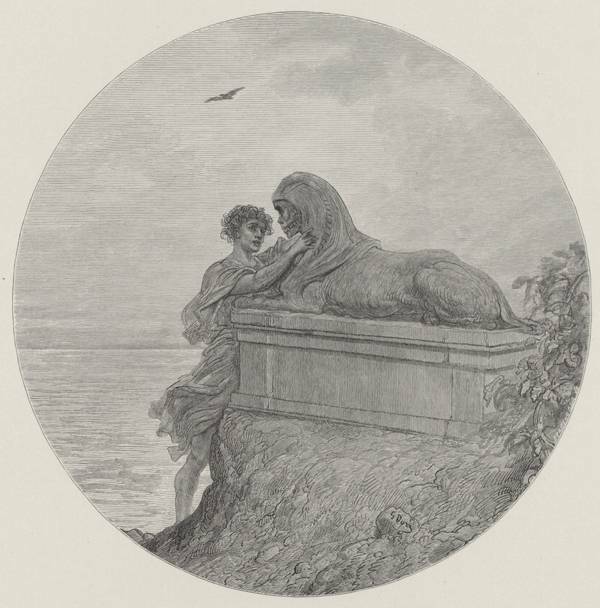 Doré’s illustrations appeared in a lavish, 1883 oversized special folio edition, and number among the poem’s most famous images. For the US publication of the special folio edition of The Raven, Harper & Brothers announced a competition to illustrate it. 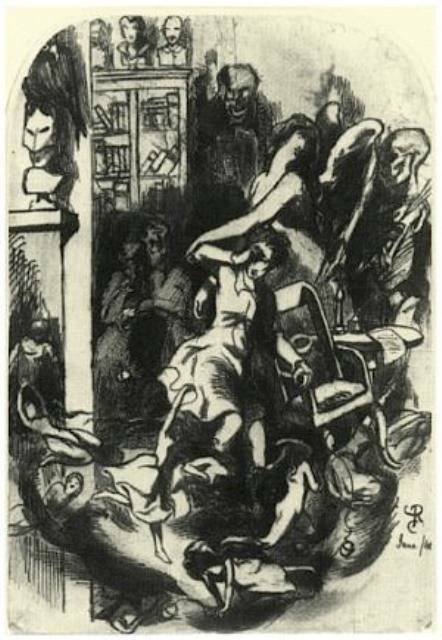 This was nothing but a publicity stunt–Doré, one of the most famous artists of the time, was already on board as the illustrator. But a Liverpool artist named James Carling, who happened to be in Chicago that year, decided to enter with a collection of painted illustrations that rival Doré’s. Sadly, he died before they could be published. “And each separate dying ember wrought its ghost upon the floor,” The Raven, James Carling, 1883-87. Edgar Allan Poe Museum. Doré’s are beautiful; there is a tranquil loveliness in them unusual to Doré. Mine are stormier, wilder and more weird; they are horrible; I have reproduced mentality and phantasm. Not one of the ideas were ever drawn before… for I have followed [Poe’s] meaning so close as to be merged into his individuality. Many other artists have taken their hand to illustrating The Raven since then, including early 20th-century illustrator Edmund Dulac and anamorphicist István Orosz. “The Raven,” The Bells and Other Poems, Edmund Dulac, 1912. One of the most interesting post-War interpretations is by Italian graphic artist Lorenzo Mattotti, for Lou Reed’s reinterpretation of the poem. Reed described his vision of The Raven as “meant to be heard in the mind.” Even though Mattotti’s background is in comics, his images for The Raven are anything but cartoonish–they’re dark, powerful, with an underlying hint of terror and eroticism introduced by Reed. “Once upon a midnight dreary,” The Raven, James Carling, 1883-87. Edgar Allan Poe Museum. “Sorrow for the lost Lenore,” Lou Reed’s The Raven, Lorenzo Mattotti, 2003. 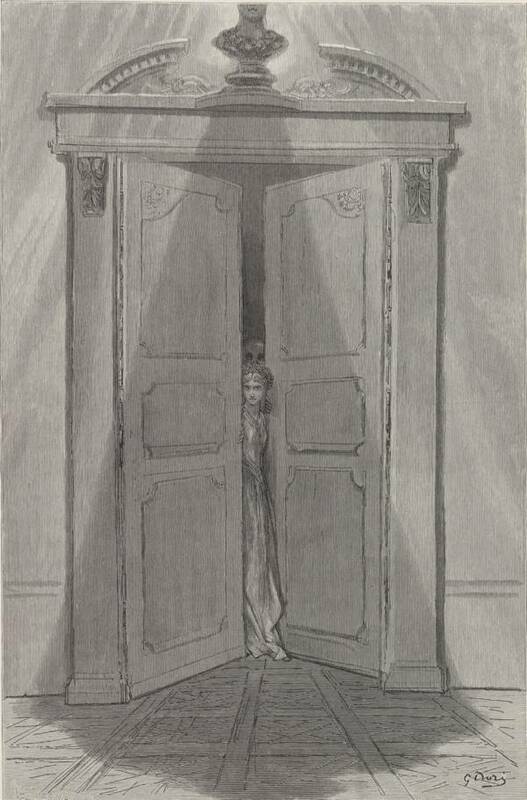 “Entreating entrance at my chamber door,” The Raven, Doré, 1883. 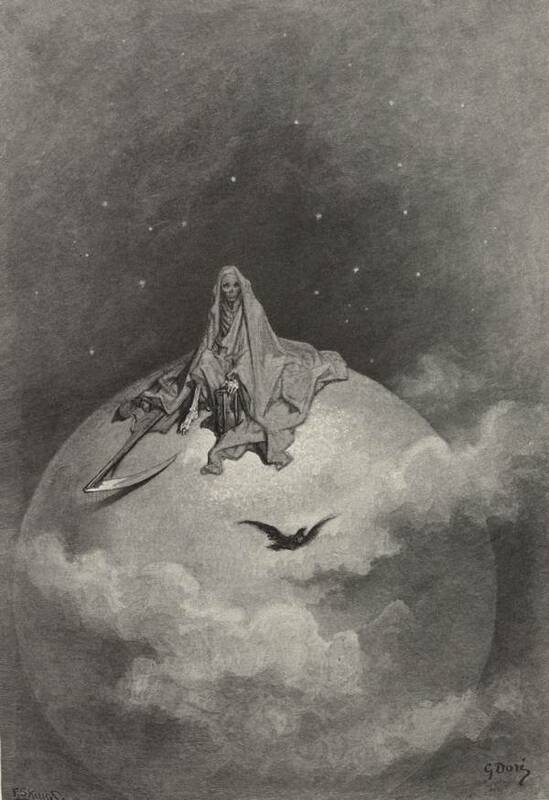 “Dreaming dreams no mortal ever dared to dream before,” The Raven, Doré, 1883. “Soon again I heard the tapping somewhat louder than before,” Lou Reed’s The Raven, Lorenzo Mattotti, 2003. “In there stepped a stately raven,” The Raven, Odilon Redon, 1882. “Tell me what thy lordly name is on the Night’s Plutonian shore,” The Raven, Carling, 1883-87. 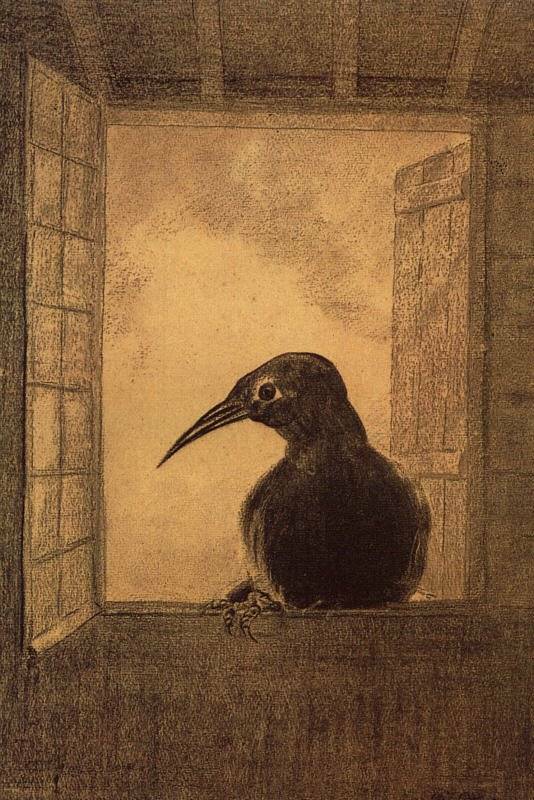 “Perched and sat and nothing more,” The Raven, Doré, 1883. “Nevermore,” The Raven, Carling. Edgar Allan Poe Museum. “With my head at ease reclining,” The Raven, Manet, 1875. 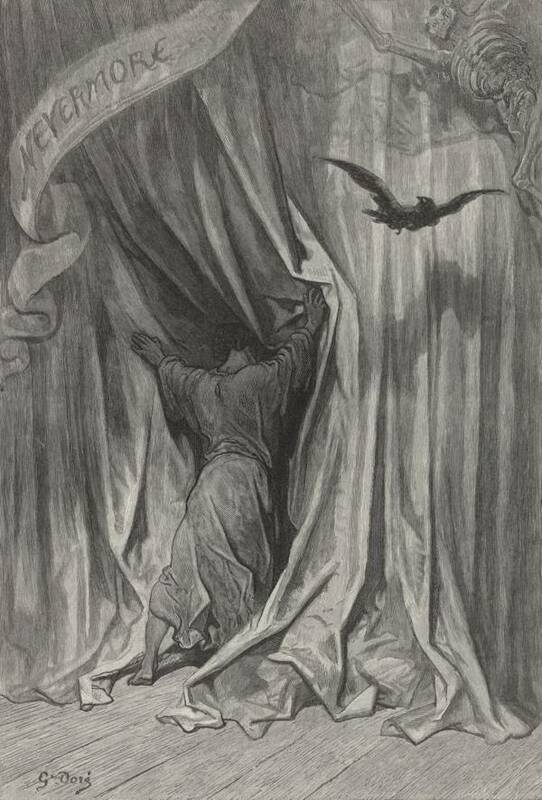 “Wretch, I cried, God hath lent thee,” The Raven, Carling, 1883-87. Edgar Allan Poe Museum. “Angel Footfalls,” Dante Gabriel Rossetti, 1846. “Tell this soul with sorrow laden,” The Raven, Carling, 1883-87. Edgar Allan Poe Museum. “Be that word our sign of parting, bird or fiend,” Lou Reed’s The Raven, Lorenzo Mattotti, 2003. 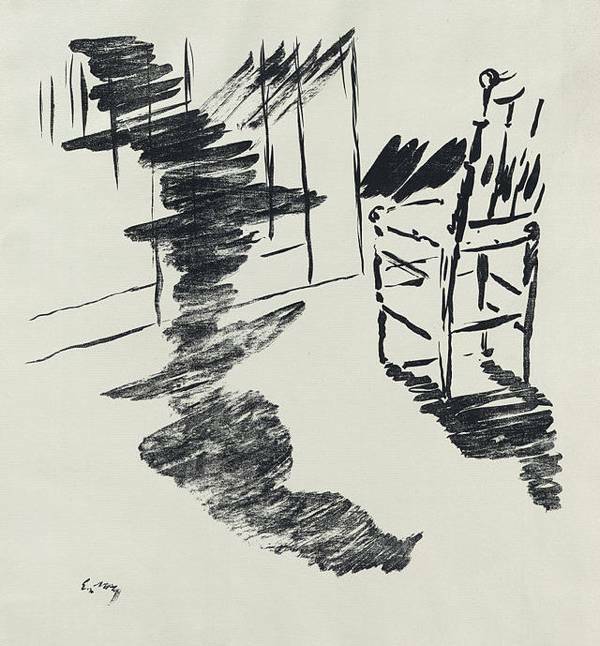 “And my soul from out that shadow that lies floating on the floor,” The Raven, Manet, 1875.